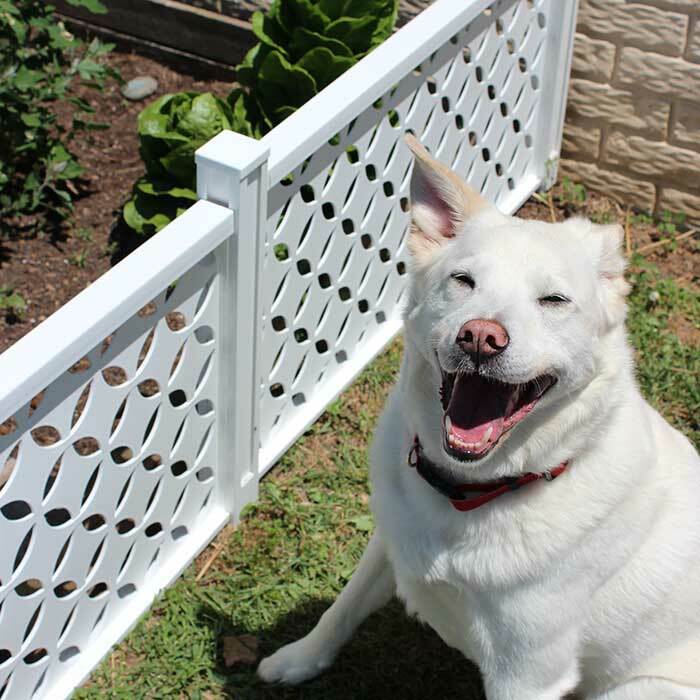 An easy dog proof garden fence that looks great and really works! This is a sponsored post written by me on behalf of Freedom Outdoor Living. All opinions are 100% mine. I love my garden. I love my dogs. Unfortunately they don't always co-exist. I remember my dad trying in vain to keep our dog out of his tomato plants when I was a kid. And now it's my turn, trying to find a way to keep my two dogs out of my backyard garden. 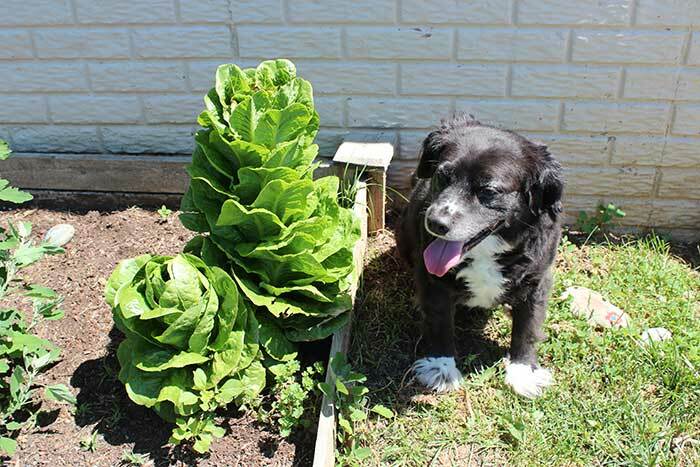 Our small raised bed garden has been tempting my dogs for as long as I can remember. In the past, we tried a small metal garden fence, but I was never happy with the results. Besides the fact that it just never looked good, my little dog could always figure out a way to sneak inside. And now that we have active kids running around the yard, I really wanted something that was sturdy and with no potential for sharp edges. So the fence came down this year, and our garden paid the price. With nothing between my dogs and the emerging plants, we lost several to digging and the occasional snack. I want to fill in the bare spots before it's too late, but I needed to find the perfect solution to keep the dogs out first. When I discovered Connections Decorative Fencing I knew I had it! Connections Decorative Fencing is totally flexible, affordable, and low maintenance - everything that's on my wish list. Our garden (our whole yard really) is on a slope, and I needed something that would work with our hill. I also didn't want anything that would be permanent, as we may expand the size of our garden in the next year or so. 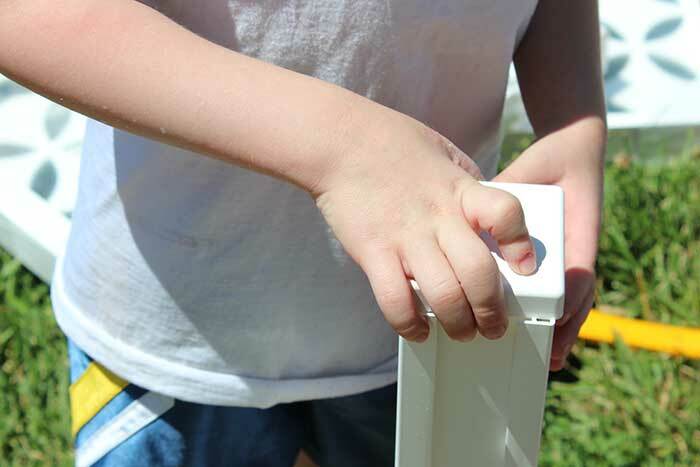 Connections is so easy to install with tools you probably already have (or you can grab on your next trip to Lowe's, where Connections is exclusively available in store or online). All you need is a measuring tape and a mallet or hammer. And the results are amazing. Here's how it works. First, sketch out the size and shape of the space you want to enclose. We wanted to give ourselves a little bit of walking room around the garden for when we need to work on it. Then pick out the decorative panel design you want - there are several to choose from or even a solid panel. You can stack them up to three panels high, and mix and match any way you can imagine! We decided on a single tier of circle panels for our garden project. 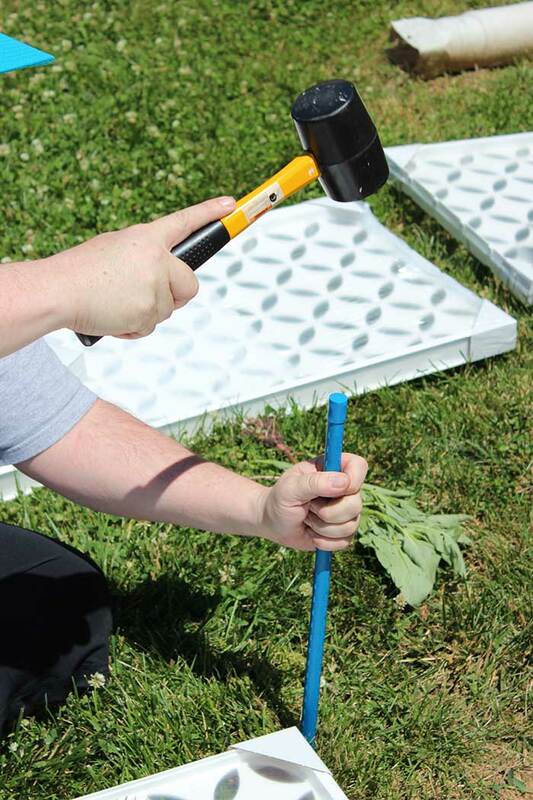 Grab your panels and your posts (you need one more post than you have panels for it to work), your measuring tape, and your hammer and you're ready to go! Start by hammering the blue stake into the ground. No digging, hardware, or footers required! Then measure out the width of the panel to the next stake and repeat. Once the stakes are in, slide a post cover over each stake. Then slide the panel in between the two posts. Seriously, that's it. Repeat for the remainder of your design. When you're done, press the decorative cap on each post to finish it off. So easy even my three year olds can help! And the entire project took us about an hour. I could not be happier with the way our fence turned out! It looks fantastic with its clean lines and fun decorative design. I love the low maintenance vinyl material too. It works perfectly with the slope of our yard and really gave us the flexibility to create the space that we wanted. We were able to create a walkway between the new fence and the garden, so that my little helpers can still water, plant, and harvest the garden with me. But it's also doing its job well by keeping my dogs on the other side. I'd love for you to try out Connections fencing for your own awesome backyard project, so I have a super cool giveaway for you. Enter below to win a Connections Fencing package of your choice. What will you create? The possibilities are endless - do you need some privacy around a deck or hot tub? Maybe a place to conceal ugly pumps or garbage cans? Or a pet proof area of your own? 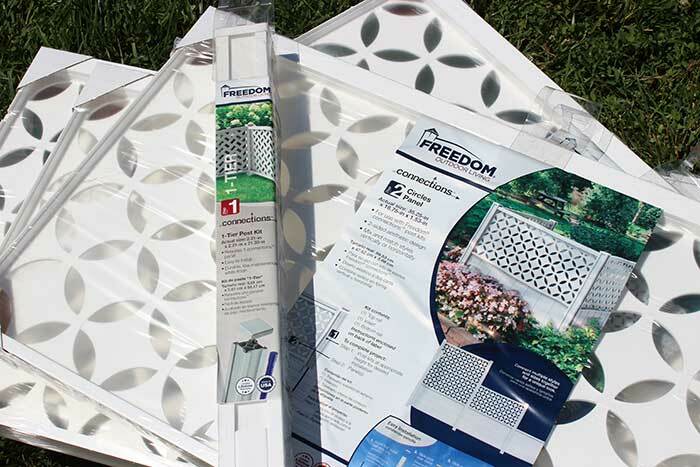 Be inspired by Connections Decorative Fencing here then enter to win below. I'd love to know what you could create with Connections! Oh my - I REALLY need this for our yard!!! We would love something like this in our yard! I already showed it to my husband. My dog tore a hole through the makeshift fence we made last year. You have NO idea how much I need this! I need to keep my dog away from the rabbits that keep nesting by our deck. I don't want to relocate them, just want to keep him out and they keep coming back to have more babies. UGH!! This fence would be a godsend!! I would create a little area for my fur baby. This would be perfect. Thanks for the chance. love it.. This is so awesome - I would love to have this. My dog and the local groundhog always walk all over my plants. And my dog always pees in there! Ugh - so annoying! This is perfect for the garden! I would create a small garden. I would create a small garden and this would keep my pups out of it! I would create a barrier around my small garden so my dog doesn't trample the plants. I would create a flower garden area! Oh I would love to create a fence for my garden too! We have something that likes to come and nibble during the night! I love the idea of using the fence around the garden! That is how I would use it as well. I'd hide my a/c. Looks easy to install. I would absolutely LOVE this for my ducks!!!! It would look amazing! I would create a beautiful herb garden. What a perfect fence to keep the dogs out and it looks neat, too! I have a chihuahua and would like to make her a safe place to play without her leash. 3 mowed acres and she will head for the road every single time. This would be perfect to make an outside run for my bunny, We take him out on a harness and he hates it. If he had a fenced in place to eat some grass I am sure he would love it. I would use this for a garden to keep out critters and what not, it would be perfect! I would use this for the same purpose you did. We have a ton of rabbits and squirrels in our area, and they love to get in the garden. We currently use chicken wire to keep them out, but this looks so much nicer. I would either put it around our patio or the garden. Thanks! I would create a little area for my dog. I would create a dog free garden space...my dogs loves to taste test. 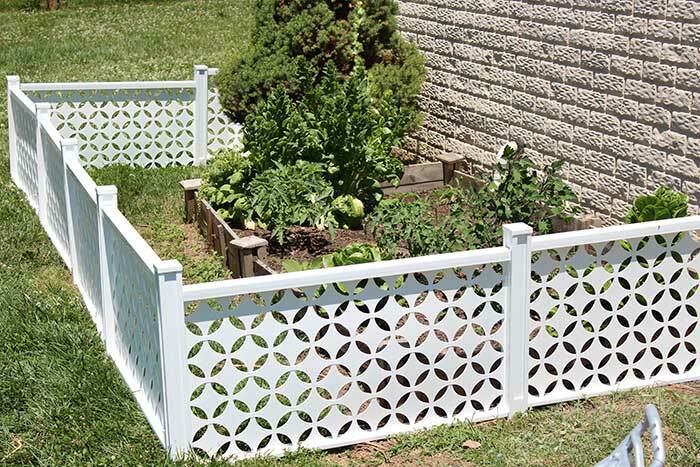 I would put this fence around my pots with my tomato plants in them. I would do exactly what you did!! Place it around my garden!! This would be awesome!! I would love to make a play area for our dog! I would create a very nice border around my flower beds. I'd love to make a little herb garden off of our side porch with this! I would fence off a poo area for my pup. With a Connections Fencing Package I would create a yard space for Rolly the dog. I would create a fenced in area for my garden - to keep the dogs out of the moist cool soil they so love to dig in! I would grow a herb garden!!! 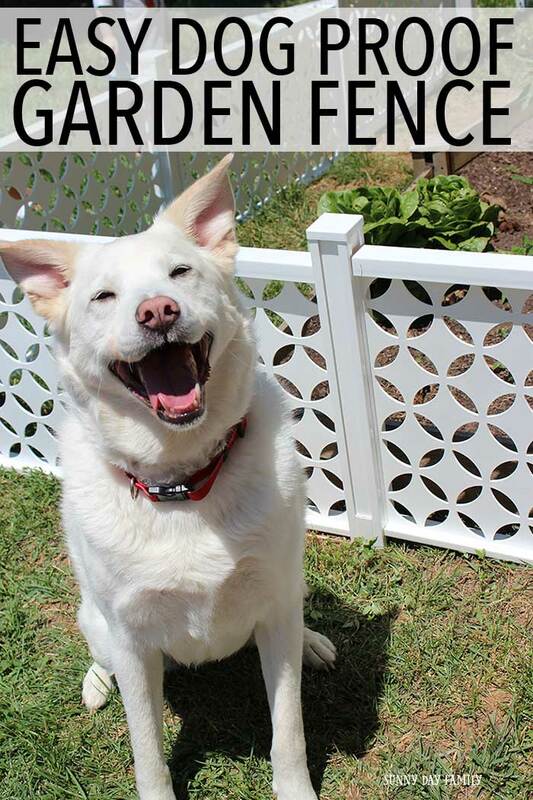 I totally need this fence, I am growing my garden on our deck to keep the dog and other animals away! I would create a super cute garden for my veggies! Oh boy do I ever need this, lol! And it is super cute plus functional. LOVE! Thanks for the chance to win and discover your blog/social media. This is such a perfect idea! 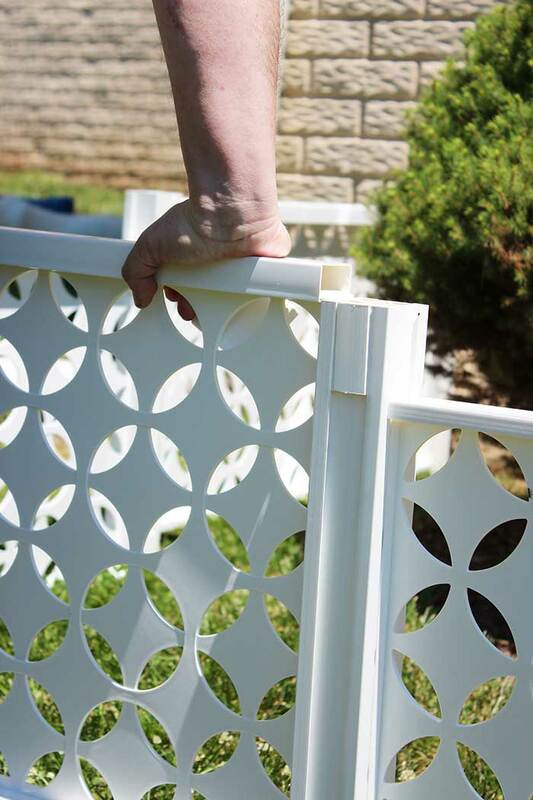 I have an area by my shed where I want to plant a small garden, so the Connections Decorative Fence is ideal for keeping our pets out plus all the strays that wander into our yard; i.e. neighbors dogs, rabbits and raccoons too. Thanks for the chance win one. I would use it around my garden. The animals have gotten into it! I would use it around my garden. I have a butterfly garden and I would love to keep the dogs out of it so this would be perfect I have 3 dogs. Exactly what we need! We have two dogs that LOVE to get all up in the garden! Oh yes, I'm betting I can rig it to somehow keep the rodents from digging up my sprouts! This is such a cool idea for fencing I would love to create a space for my garden that is all its own where the dogs do not go in. We were looking for something like this last year and this year to put around our garden. This is fabulous!!!! We could definitely keep our dog out, along with the grandkids, and possibly even the rabbits that love getting in my garden!!! I would create a fence cutting off part of the yard so at night I could see the dogs when they try to sneak off to the side of the house. I would create a butterfly garden where our dog wouldn't be able to lay down. I'd like to use it in my front yard to grow flowers. My3 dogs won't let me grow anything! This is great. I would use it to create a special area for our active furbaby her own place to play. 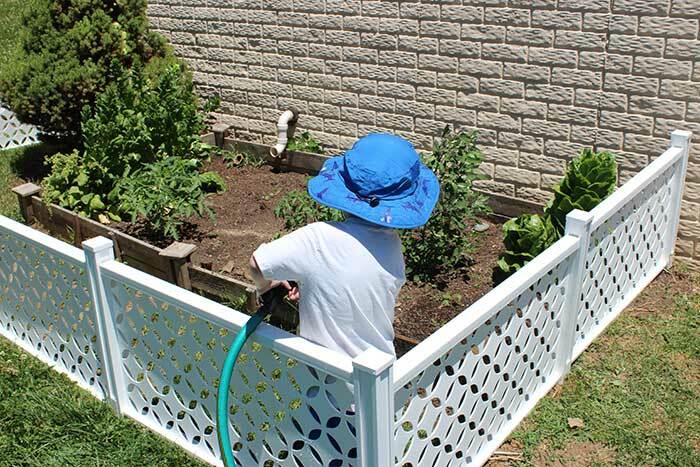 I have so many great ideas for this fencing, but I think the one that would be most useful to keep critters and my kiddo's out of my garden the same way you did in this post! I would create a fenced in area for my little garden as well. I love how you have done your garden! This would be great to create a small vegetable garden in our front yard. Our dog knows better, but I'd create a barrier to keep the kids from running into the flower garden. I would make a garden full of veggies.. I could really use this! I would use it to keep my dog out of the garden. Oh boy do I ever need this, lol! And it is super cute plus functional. I would use it to create a special area for our active furbaby her own place to play.